And the answer is: Delve works for all users in Office 365 (in an AAD). 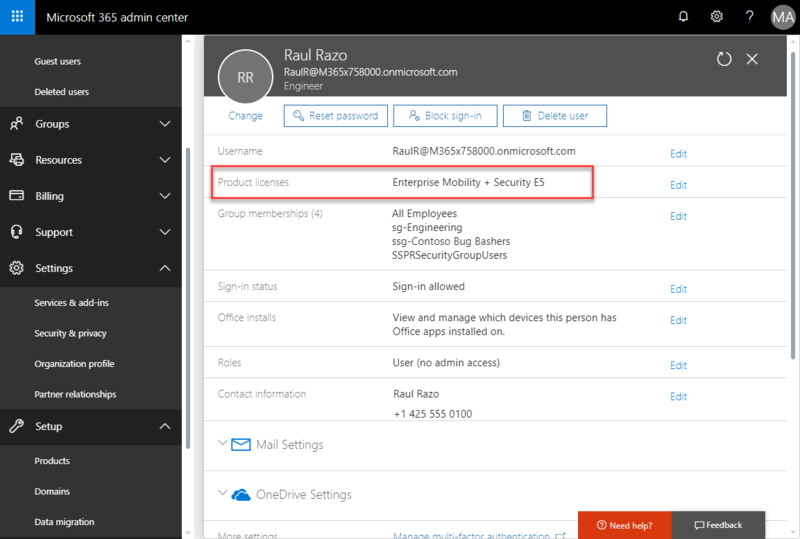 The following user Raul has no Exchange license in Office 365. So, this user has just one license plan set. Ok, Now, can the user update his profile picture and his user profile data? Just to mention: The Microsoft Graph allows to update the user profile picture only, if there’s an Exchange Mailbox existing (currently). Search is mostly faster – here the new user profile picture is already existing. 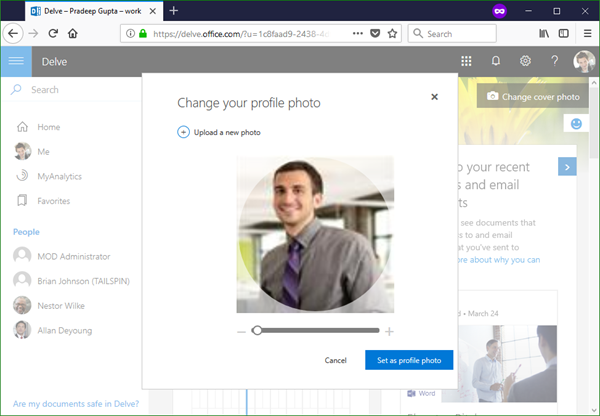 If a user has an Exchange license, the user profile picture can be changed within the Delve page with URL https://delve.office.com/?u=<someid> as well. 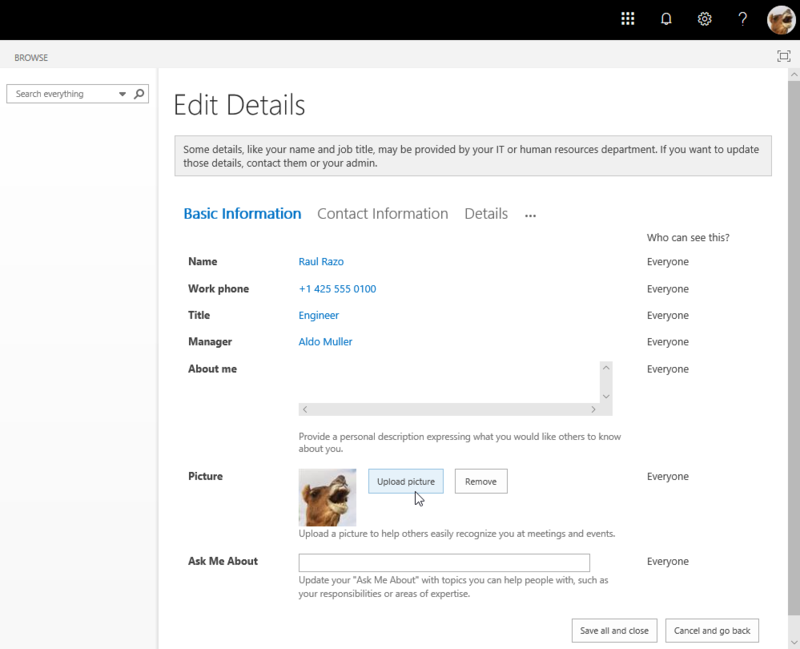 So, hope this short article clarifies this Delve and user profile questions.